Building a DIY greenhouse can extend your growing season, add a bit of aesthetic intrigue to your property, and offer a haven for unique plant species. 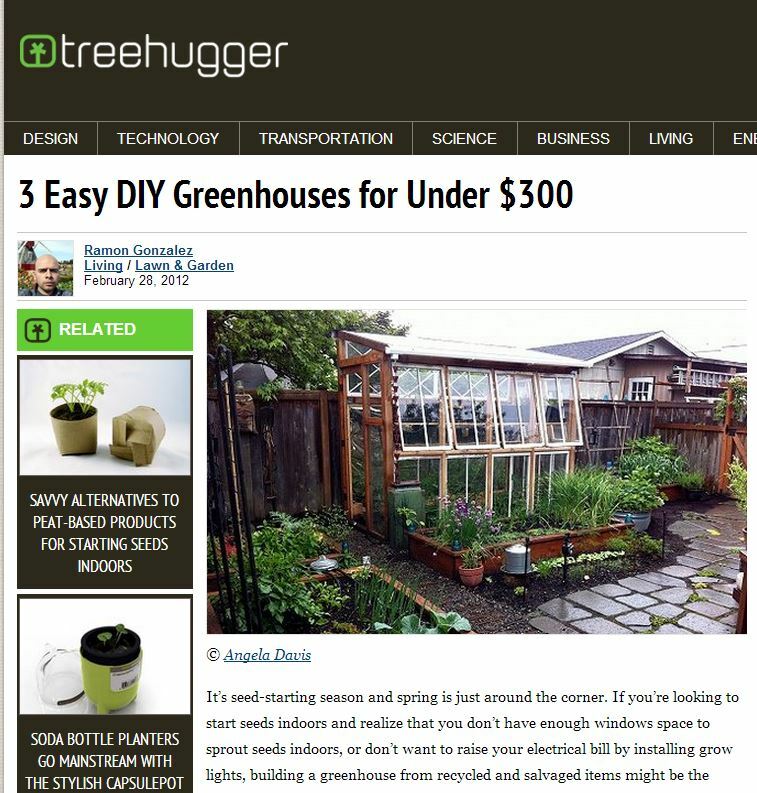 TreeHugger.Com’s Ramon Gonzalez wrote a great DIY article “3 Easy DIY Greenhouses for Under $300” that showcases a few great ways to build greenhouses from recycled materials and materials purchased for under $300. TreeHugger.Com is a news hub and sustainability resource for those concerned about the environment, personal sustainability, and social and political issues. Wow, thank you for the feedback. I am just now getting back to posting and I hope to update each and every day! I just needed that little push to keep going and now hopefully the ball is rolling for good. High praise indeed! Unfortunately, I don’t think I am quite there yet. Thanks for the encouragement! They are often secured around existing parts of the motorcycle. the same, but Tractor Tires have smaller voids that have a limited use on firm & solid surfaces. Thanks so much! I could sure use the encouragement right about now…. I don’t understand what I would have done if it weren’t for your blog posts.Thanks so much for sharing tgese beneficial observations. I just want to say I am newbie to blogging and site-building and really savored your page. Very likely I’m want to bookmark your site . You amazingly have really good articles and reviews. Cheers for sharing your blog site. Highly energetic post,I liked that a lot. Will there bee a part 2?